When Does A Drinking Habit Become A Drinking Problem? Alcohol affects us all differently. Whilst some people can drink all hours of the day and function perfectly, many of us are not so lucky. For some of us, alcohol almost always leads to self-destruction or antisocial behaviour. Here are just a few of the signs that booze may be bad for your lifestyle. Many of us know the negative effects that alcohol has on our health. 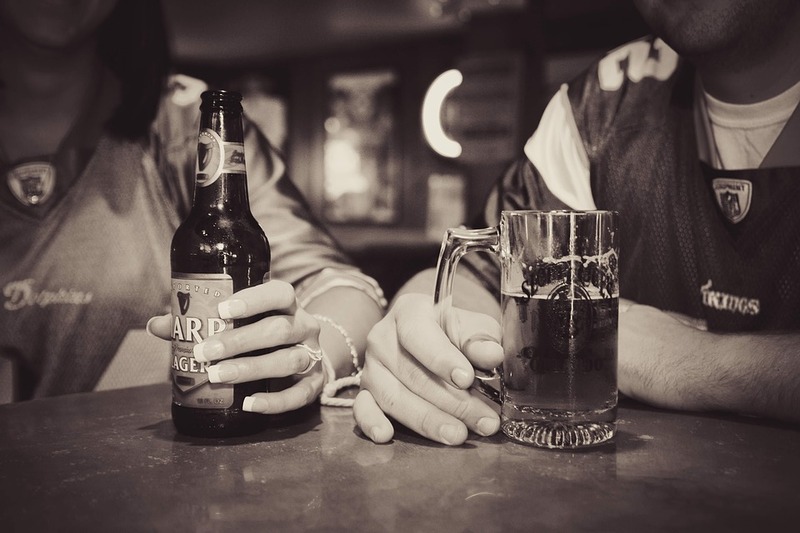 Those of us who drink occasionally generally won’t cause much permanent damage, but those that are regular boozers may eventually start to notice signs such as a sore throat, trouble breathing, a beer belly, high blood pressure, memory loss, slurred speech and pale or jaundiced skin (the latter of which can be a sign of serious liver damage). You should see your doctor about these signs – if alcohol is to blame, you may want to cut back. Your alcohol intake should also be reduced if you’re having accidents whilst drunk such as falling, getting in fights or passing out in dangerous places. If alcohol causes you to get physically violent with other people or put other people in physical danger, this is a clear sign that you want to cut back on drinking. Aggressive personality changes are hard to fix and you may have to accept that alcohol isn’t for you. Personally attacking people or making people scared is also a sign that you may want to cut back. Drinking causes many of us to lose our inhibitions, but this shouldn’t be to the extent that you have no regard for the law. If you find that you’re drinking under the influence, vandalising property or stealing things when drunk, you may want to cut the booze. If you’ve been arrested for these crimes, you may be able to appeal them with the help of a criminal defence attorney, but often a judge will want to see proof that you’re curbing your drinking habit. Continuously getting into legal trouble whilst intoxicated could make it difficult for you to argue your case. Whilst alcohol can make many of us more carefree, it shouldn’t result in reckless negligence such as forgetting to pick children up from school or turning up late to work. You also should also cutting back if you’re continuously dependant on others whilst drunk or if you have a tendency to go on unhealthy spending sprees or if drinking causes you to cheat on your partner. Whilst drinking can make some people feel more happy and confident, this isn’t a universal case. Some people can become more self-aware when drunk to the point that they begin to dwell heavily on negative thoughts. This may not just have short-term mental health effects, but long-term ones too. Stop drinking and you could find that you start feeling happier. There are drinking counselling services out there that could help you to give up.